We take pride in the fact we can handle all of your waste management and recycling, with particular emphasis on our specialist plastic recycling experience. If you’re looking for a recycling centre that can handle large volumes of plastic waste, you’ve come to the right place. Read more about our plastic recycling services. We understand waste management efficiency and can take care of your waste – whatever it is! As part of our service, we work with you to improve your waste management and ensure that non-conforming materials don’t end up where they shouldn’t be. Some non-conforming items may contain hazardous or un-recyclable materials which we ensure are dealt with in the correct way, giving you peace of mind. 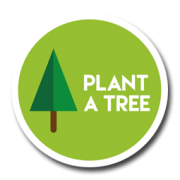 As part of being environmentally conscious, we also run a Plant a Tree scheme which encourages our customers to send us their recycling materials, be it plastic, cardboard, metal or otherwise, and we will take care of the rest! We record each supplier’s contribution towards the Plant a Tree scheme and a certificate will be sent out automatically upon achieving each goal. As an example, for 50 tonnes of waste we will plant your first tree and help build a brighter, greener future. Our experience and customer service makes us the North East’s leading recycling centre – contact us to find out more about recycling plastic or other materials today.